Drive GrabHitch to recover petrol costs! You never know who you will meet on GrabHitch – Hitching a colleague in your own company, a prospective client or maybe even your future boss! See how much you stand to recover! Your application will be approved in 1-3 business days. You will be surprised to know how many people want to Hitch a ride to their offices in Ubi! 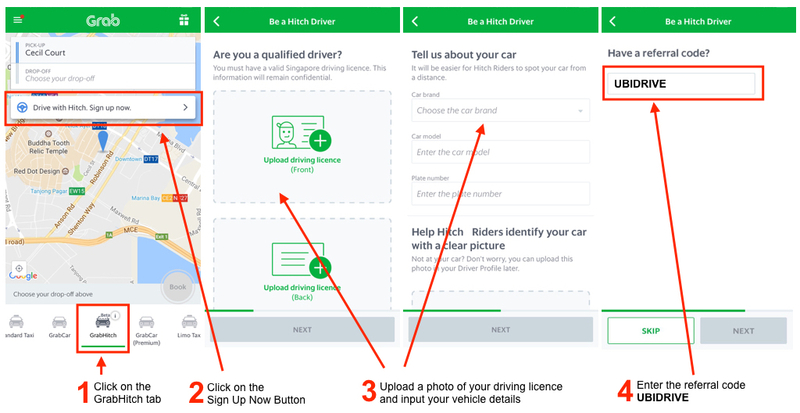 This incentive is only eligible for new drivers who sign up and successfully complete 1 Hitch ride as a driver between 11th April 2017 @ 00:00 hours – 12th May 2017 @ 12:00 hours. New drivers must sign up with the referral code UBIDRIVE in order to qualify for the $20 credit. The processing of the $20 credit will only be conducted after the incentive period has ended (post-12th May 2017). Please allow up to 10 working days for the disbursement of the $20 credit into your Hitch Driver wallet. Have questions? 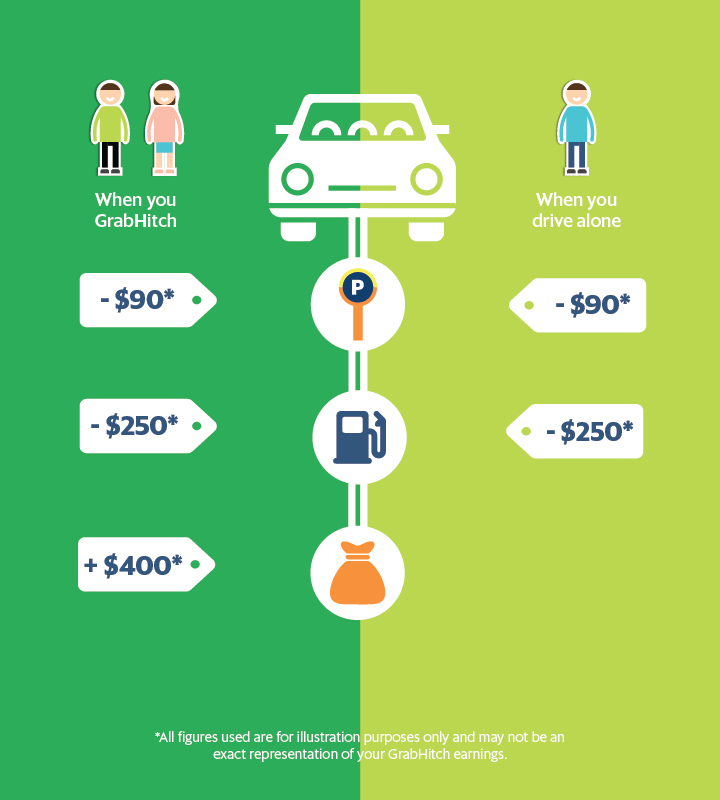 Email us at grabhitch@grab.com with subject “Drive Ubi” and we will get back to you in 2-3 business days.